We are all affected by this: climate change is democratic, scientific, economic, moral and political. If a doctor told me I had a 97 percent chance of contracting a grave disease were I to do nothing to change my lifestyle, I would do something about it immediately. So if 97 percent of climate scientists agree that human-caused climate change is real, why does the climate change debate continue? Perhaps because each side is allowed a chair at the table: it’s one-on-one, not ninety-seven-on-three. In 2013, a Gallup poll found that over six in ten people said they didn’t think global warming would seriously threaten them in their lifetimes, the same level it was a decade prior. In the same year, a Pew poll found that 69 percent of people admitted there is “solid evidence the Earth is warming.” (This was actually down from a high of 77 percent in 2006.) And yet we know that the ten warmest years on our planet, since the records began 130 years ago, have all occurred since 1998. Which is more important – facts or popular opinion? In an option-oriented, app-happy world, the facts are … inconvenient. But they are clear: carbon pollution is warming our planet right now and creating droughts, flooding, superstorms, wildfires, species extinction, and environmental refugees. There are over seven billion human consumers who currently rely on carbon-based fuels for 85 percent of their energy. More than half of the emissions come from power plants and factories; nearly a third come from transportation. The land and ocean absorb about 55 percent of Earth-warming greenhouse gases; the rest remain in the atmosphere. Sometimes, I try to think whether there are any places that remain unaffected by climate disruptions – maybe remote Alberta or deepest Peru? But you really have to exclude any place where people breathe air, drink water, or buy groceries. We are all affected by this: climate change is democratic, scientific, economic, moral and political. It used to be I looked in the newspaper for stories related to climate change; now it’s hard to find those that are not. I come to The Witness Tree through my deep kinship with nature – my love of hiking, swimming in lakes, experiencing wide-open spaces, and photographing the mystery of the land. Like the woman I met in Kenya who collects plastic bags from the Nairobi River and crochets them into purses, or the solar panel company owner who walks 40 minutes to work each day, or the 400,000 who walked beside me at the New York City People’s Climate March in 2014, I am impelled to leave this world a better place than I found it. This project is my way of documenting these changes and trying to preserve the beauty of what we still have before it disappears. 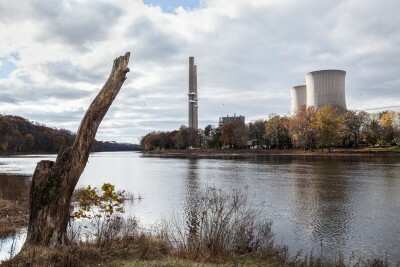 The two coal-burning generators at this power station on the Delaware River were shut down in 2007 after a major coal ash spill that contaminated the region’s drinking water. The remaining two generators burn natural gas, which some argue is “cleaner” than coal but natural gas is still a fossil fuel that produces carbon dioxide and methane, both heat-trapping greenhouse gases. 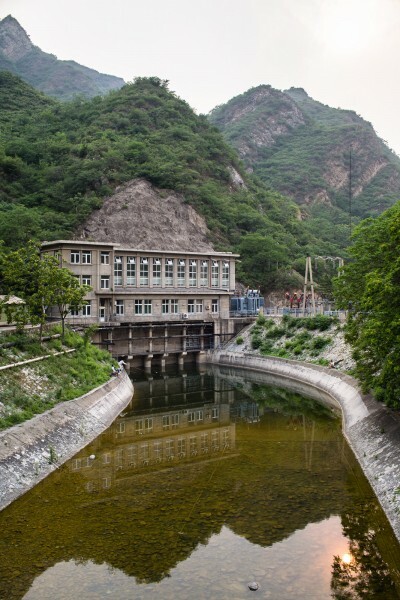 The Mentougou district in western Beijing used to be the region’s primary source of anthracite for producing electricity, but decades of mining have seriously damaged the ecology of many areas of this region. 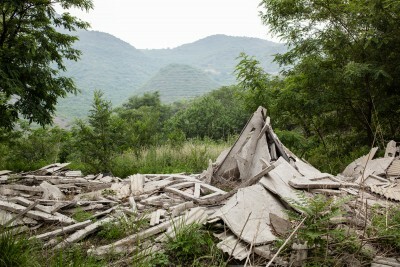 In 2006, China University of Mining and Technology was reported to have begun an ecological rehabilitation of Mentougou district. But when I visited in 2012, this town looked untouched by the restoration project. Buildings produce nearly half of all global greenhouse gases. A 2013 Finnish study found that it is often better to renovate existing suburban houses than build new ones, even if the newer stock use energy efficient standards. In the U.S. new homes are, on average, 1000 square feet larger (9.3 square meters) than in 1973 despite the fact that household size has declined from 3.01 persons per household in 1973 to 2.54 persons per household in 2013, making the average amount of living space per person double what it was just four decades ago. 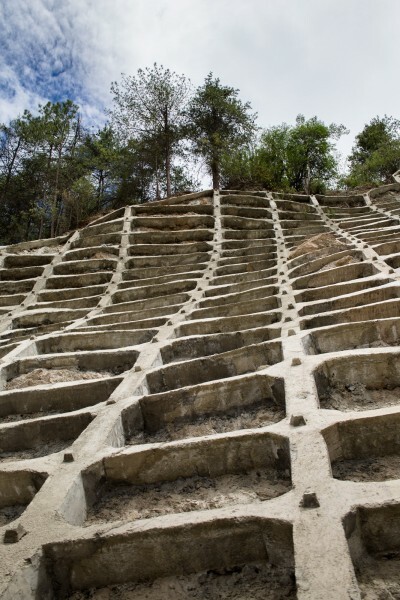 Half of the world’s dams are in China and dozens more are built there every year. 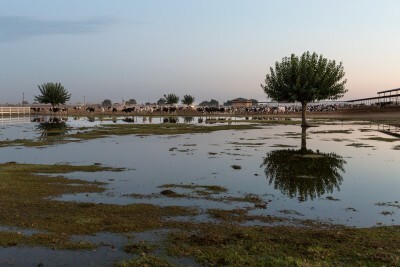 Although dams can be beneficial in providing hydroelectric power and irrigation water and in protecting against flooding, dams can also be detrimental to the health of local river ecosystems and families and farmers that get displaced in order to build them. Three Gorges Dam, the largest and one of the most notorious dams in China, displaced over 1.2 million people and created lasting environmental impacts. While driving with Chinese friends to see the abandoned coal-mining town of Wangping, we passed several rivers that were dried-up as a result of damming upstream. 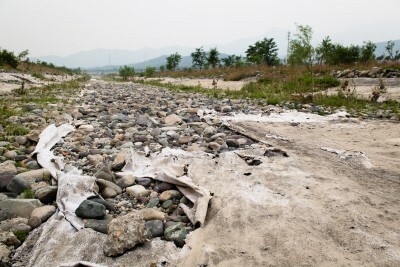 This section of the Yongding River had a tarp over the rocks on the river’s bed which my friends thought was to prevent the rocks from washing downstream during periods when water is released from dams upriver or during flooding from heavy rains. According to the Earth Policy Institute, forests now cover just under 10 billion acres (4 billion hectacres) of the world’s land surface, down from a pre-industrial area of almost 14.8 billion acres (6 billion hectacres). Forests are threatened by various factors: clear-cutting or burning to repurpose the land for agricultural and industrial use; harvesting for timber or fuel; and forest fires spurred by drought and other changes in the climate. With its cloud forests, volcanoes, beaches, and biodiversity Costa Rica is known for its ecotourism. And, as its land is also relatively inexpensive, many foreigners are moving there to build new or second homes. 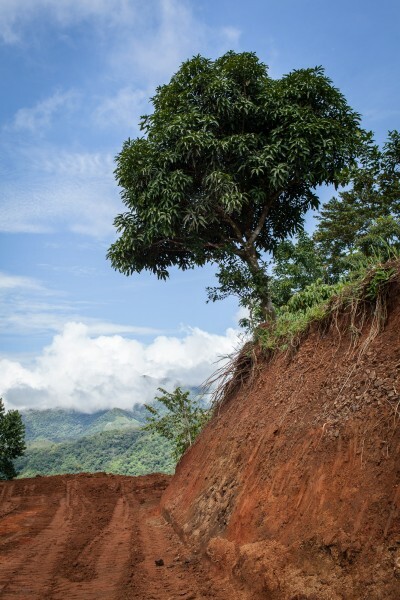 This comes at a cost: tearing down forests to build houses leaves fewer trees to hold down soil and prevent landslides from occurring during heavy rains, a central concern of the local residents I met. China’s rising automobile ownership and urbanization has brought a staggering increase in road and highway construction. 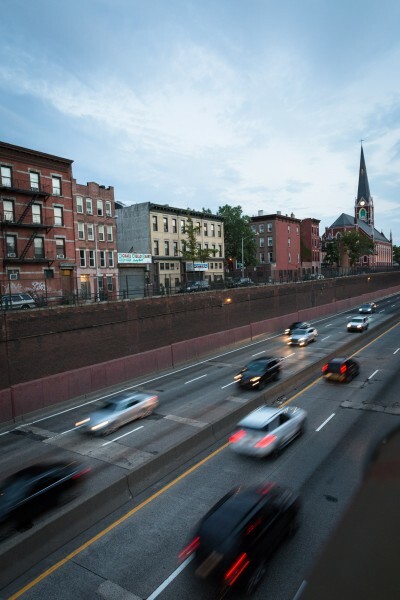 In the six years between 2008-2014, the nation’s total length of highway almost doubled from from 37,470 to 69,720 miles (60,300 to 112, 200 kilometers). Even before this, in 2007, China had overtaken the U.S. as the world’s biggest carbon dioxide (CO2)emitter. As it continues to demand more fossil fuels for transportation, more cement for roads and buildings, and more coal to generate electricity for a growing population, China reaches further into the delicate balance of progress and conservation. 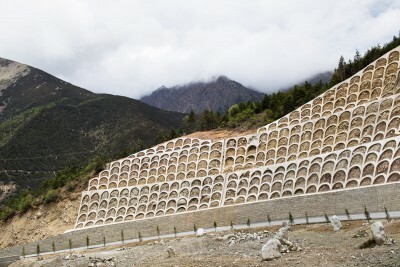 The construction of highways and concrete landslide-prevention structures like these contribute to climate change not just in their use of cement for production, but also in the fact that trees – which act as a valuable “carbon sink” to absorb greenhouse gases – are cut down to build them. 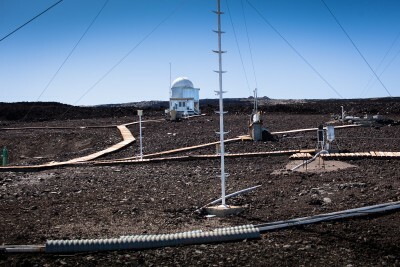 In 1958 Dr. Charles Keeling set up a laboratory at Mauna Loa to measure the concentration of carbon dioxide and other greenhouse gases accumulating in the atmosphere. In the 1970’s, NOAA (the National Oceanic and Atmospheric Administration) established three more CO2 monitoring stations in Alaska, Somoa, and the South Pole. All four records attest that the amount of carbon dioxide has been steadily increasing over the past half century. Ice core samples confirm this data and prove that rising CO2 levels began after the Industrial Revolution, linking this trend with our increased usage of fossil fuels. Hydraulic fracturing, or fracking, is the process of injecting high-pressure liquid underground to extract natural gas or oil. While the U.S. has been called the “Saudi Arabia of natural gas,” fracking comes with the very real price of releasing methane into the atmosphere and ground water and causing earthquakes in places with no historic seismic activity. Before 2008, for instance, Oklahoma experienced one or two earthquakes of 3.0 magnitude per year; now it has two or more of these a day. 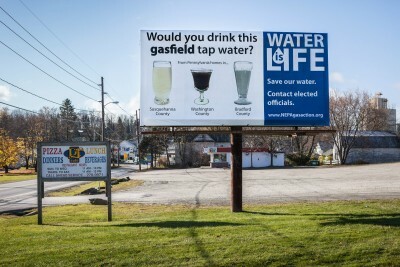 In 2014, Governor Andrew Cuomo banned fracking in New York state citing a report that found significant public health risks. Producing one pound of beef takes approximately 1,850 gallons of water; producing a pound of vegetables takes less than forty. Increasingly, the world wants its beef, but with every cow comes the digestive end-product of methane – a greenhouse gas more than 20 times as potent as carbon dioxide. Methane (CH4) is the second most prevalent greenhouse gas emitted in the United States from human activities. In 2013, CH4 accounted for about 10 percent of all U.S. greenhouse gas emissions from human activities. According to the U.S. Department of Transportation, 28 percent of all greenhouse gas emissions in the U.S. are created from the burning of fossil fuels for transportation. This number does not include the emissions created from the production of fuel and vehicles. A typical passenger car emits approximately 20 pounds (8,887 grams) of carbon dioxide from one gallon (3.7 liters) of gasoline resulting in 10,362 pounds (4.7 metric tons) of CO2 over the course of a year. 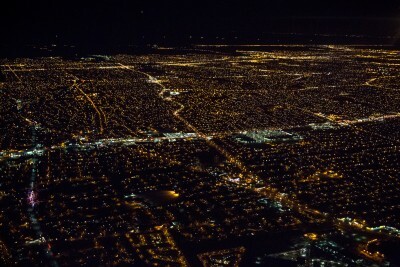 The production of electricity produces the greatest amount (33 percent) of greenhouse gases in the United States. Changing from traditional tungsten light bulbs to compact fluorescent or L.E.D. bulbs is one way to reduce your carbon footprint, but it is more important is to change one’s own behaviors to use less energy overall and to encourage politicians to change policies that will support renewable energy sources.